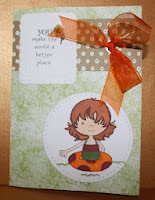 Crafty Sentiments Designs: WINNERS FROM FALL/AUTUMN COLORS CHALLENGE! WINNERS FROM FALL/AUTUMN COLORS CHALLENGE! Happy Monday to everyone! Hope everyone is staying safe and well. Congratulations , you have won a generous gift voucher to spend at CRAFTY SENTIMENTS DESIGNS SHOP.